WB30150M1 is a vehicular monopole antenna optimized for 30-150 MHz operation. Power handling of 100W RMS makes it an ideal comms or jamming wideband antenna. WB30150M1 is rated for 100W RMS operation from 30 to 150 MHz, and has excellent omnidirectional radiation pattern. 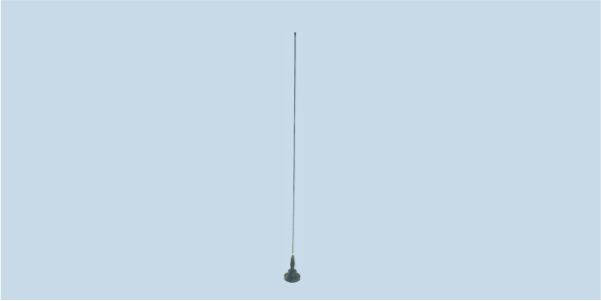 It is ruggedly constructed, with a shock absorption spring base to mount to a vehicle, which provides the ground plane for this monopole steel whip antenna. A BNC connectorized version (NSN 5985-58-000-1004) and fiberglass insulated whip version(NSN 5985-58-000-1010) are also available.